Animal Café spoke with the founding team (well, most of the team) that created BlogPaws, the website and the pet blogger conference, to help bloggers, pets, vets, businesses, “wanna be” social media hounds and pet lovers help animals and get where they want to go with whatever project they are working on. Caroline Golan, Yvonne DiVita and her husband recovering lawyer Tom Collins met for the first time at a BlogHer conference. They were all impressed with the way that conference worked to help bloggers be better bloggers and the opportunities presented for businesses and bloggers to get together. Caroline, with her background in fundraising for shelters at her blog Romeo The Cat, approached Yvonne, who she knew through her Lipsticking blog on marketing to women online and women’s issues, and asked why was there was nothing like this for pet bloggers? Yvonne and Tom agreed this was a great idea, and so Blogpaws was born and the first pet blogger conference was off to the races. This is one of the great reasons to go to conferences – things happen when you meet the people behind the blog! BlogPaws Conference – What’s It About? a new “Bring Your Vet to BlogPaws” promotion – if you get your Vet to the conference, you get a free ride to BlogPaws! Oh, and if you have a business and you’d like to get involved as a sponsor, there are many levels and packages available. 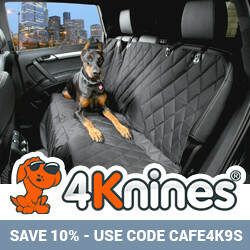 (Email Caroline at blogpaws.com for details.) There’s a lot more, so tune in! BlogPaws offers the pet-loving community many opportunities to learn, network, and grow. Once you check out the agenda and listen to the podcast, you may just decide the pet blogger conference is for you and join us! This entry was posted in Animal Welfare, Mary Haight, Pet Conferences and tagged BlogPaws, pet blogger conference on July 18, 2011 by Mary Haight. I am a lover of dogs and animals in general. 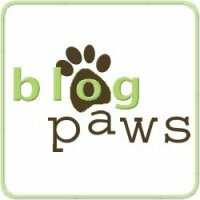 First of all I would like to convey a bouquet of kudos to BlogPaws! Good job guys! Then I would like to state that I am also a great proponent of conferences because that is where one gets to meet an assortment of community members who network toward a common cause. Because there is usually so much going at conferences, one needs to pay close attention. While most are there to further a common cause (whatever that cause may be), some are there to further only their own which may or may not be consistent. I would recommend that caution be practiced at all such public events.